Includes the standard harness to be used with my Black Ops Pro holsters. 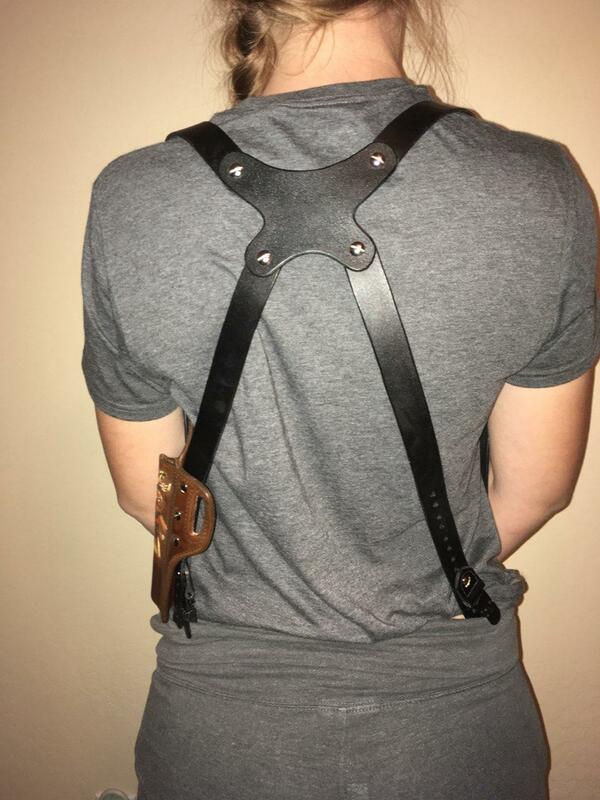 It comes with a Black Harness and hardware, 4 plastic suspender clips and hardware. It holds tight to the body and offers the best for concealment. Straight up and down. Easiest to put on. 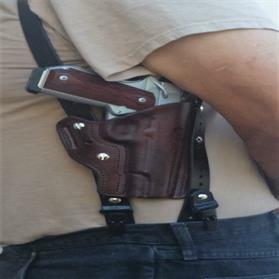 No belt needed. Holster must be broken in well, jerking motion can undo the suspender snaps. You can also use your original black Ops pro loops to hold the gun side. If you are wearing a belt. Hello, I have thought about this product for a very long time. But have always told my self. 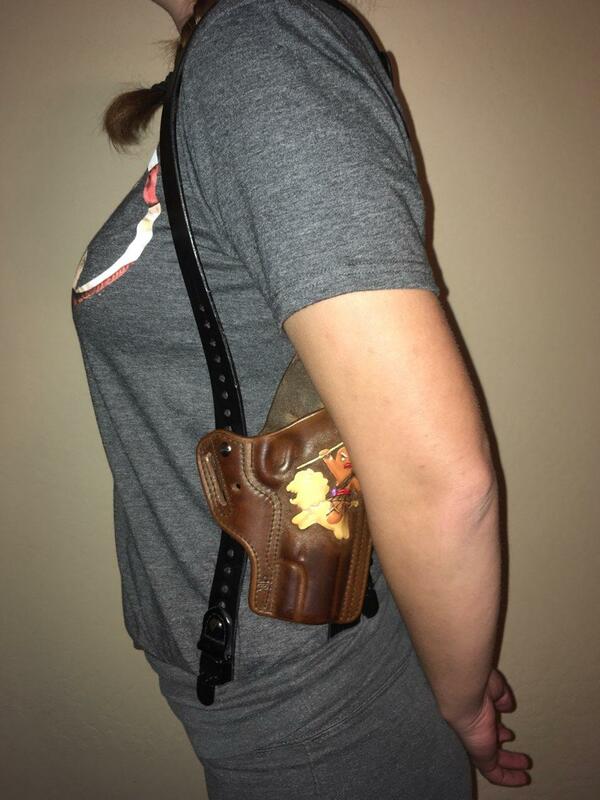 If I can't make it work with my holsters. I won't make it. If I can't make it very concealable. I won't make it. 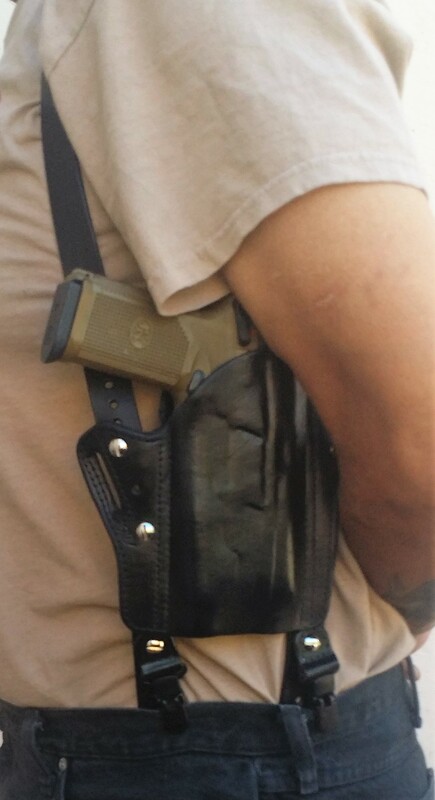 Well it does, The Black Ops Pro Harness works very well with my holsters. It's very adjustable. And very concealable. Especially straight up and down. 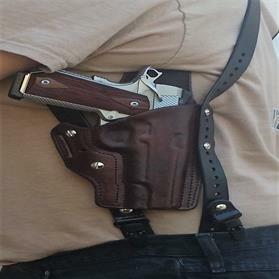 I used the biggest carry gun I use to test. An FNP 45 with a Streamlight TLR-1. Straight up and down hides the massive grip. Under a cover garment. 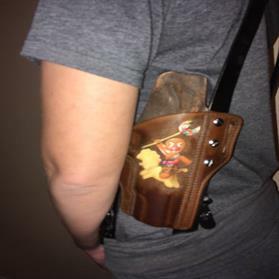 The major bonus is that if you already have a Black Ops Pro holsters of mine. You can now carry another way. 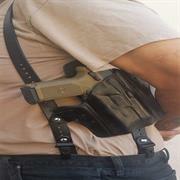 Shoulder, OWB and IWB. 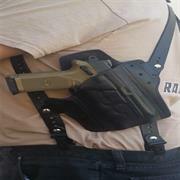 I also designed a dual magazine to be used on the Black Ops Pro shoulder harness and IWB and OWB. 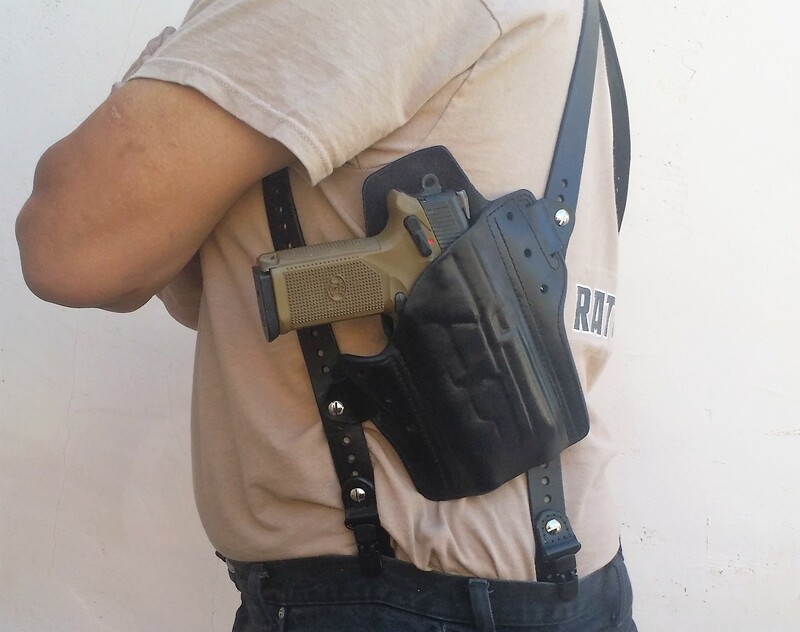 Black Ops Pro Harness Dual Mag Pouch: 150.00 + Shipping. IWB and OWB. 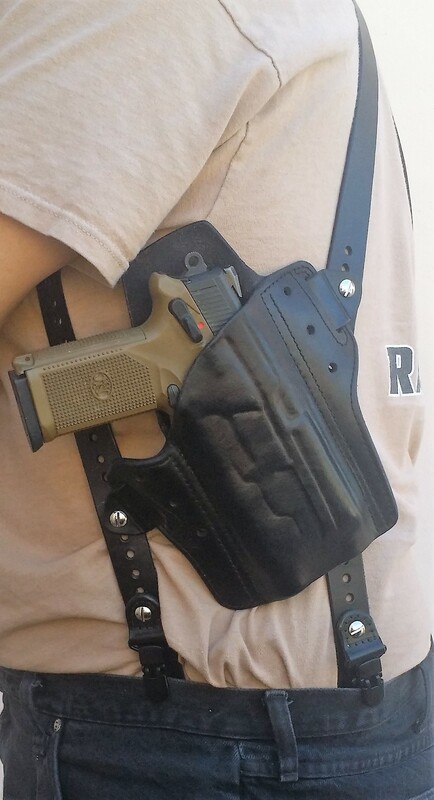 I designed the dual mag pouch to be reversable. 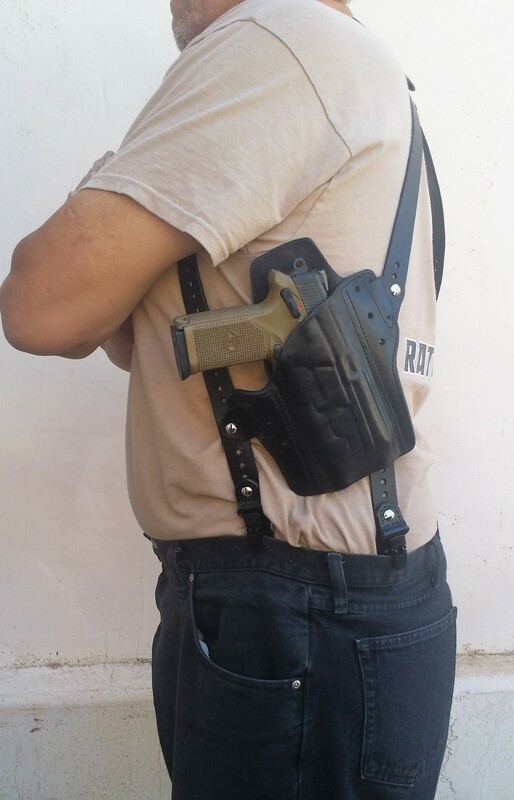 On the shoulder harness, the Mags are canted up with bullets pointing down. For easy reloading. 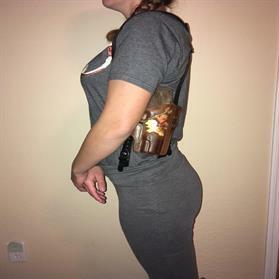 For OWB & IWB they are canted forward, you just turn the mags around so bullets are pointed forward for a normal weak side carryfor a right-handed shooter. 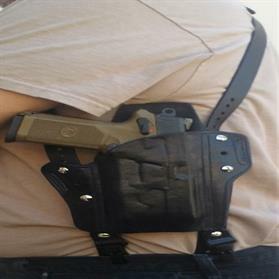 used on the belt slots of the holster. holster for a little easier drawing of your firearm. can undo the suspender snaps. Quick Clips: 45.00 for two pairs plus shipping. Quick Clips are the most secure set up for the Black Ops Pro Harness. 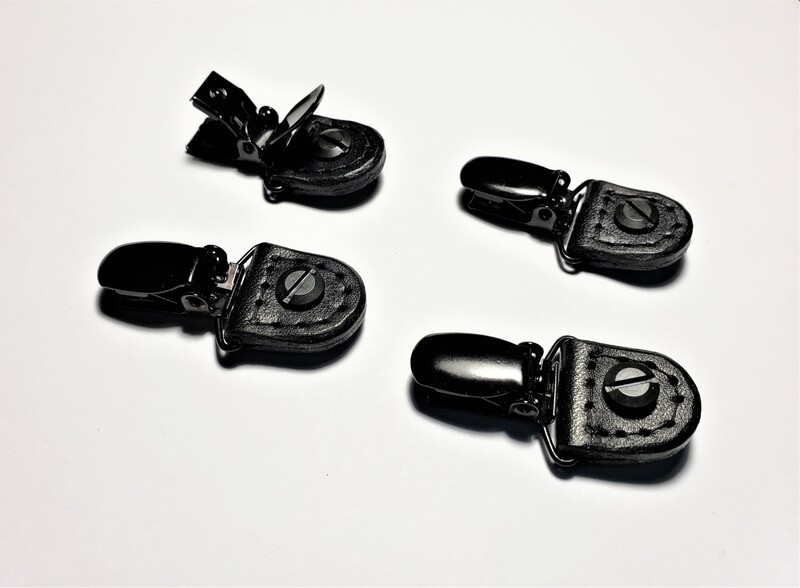 They are steel snaps with a patented design that uses a steel pin to make sure that they can never come undone. Black Ops Pro Harness Upgraded with quick clips is 185.00 + shipping.